This a a rather comprehensive book on acrylic. The type and use of acrylic I'm familiar with is painting. This book covers a way more than just painting. The book starts off with an introduction to the materials, the paint, mediums, tools and their effects. This is where I learned the many mediums available for mixing with acrylic and for preparing the boards for painting. Second part of the book covers the various techniques possible with acrylic. You can read about using acrylic grounds, creating textures, layering, pouring, glazing, thickening, thinning and many other techniques. The effects of each technique looks great. When I look at the beautiful examples in the book, there is no way I can guess how they are created. 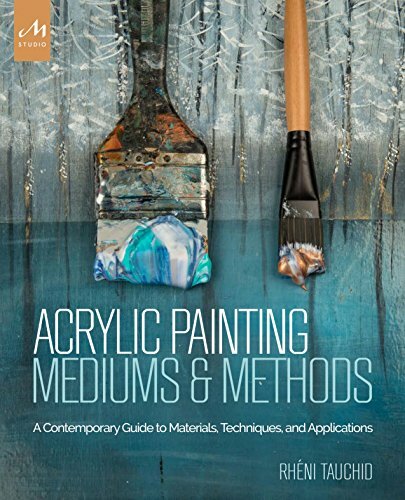 This book demystifies and explains what's possible with acrylic and the possible applications. It's an eye opener. It's like listening to a magician revealing a trick. If you're into acrylic, this book is a must buy. It's a wonderful resource and reference packed with lots of information. The author Rheni Tauchid has done a terrific job making the book really in depth.